This stunning season is surrounded in an abundance of colours from the ground to the sky, which provides the much needed transition from a sizzling Summer to a bittersweet Winter. 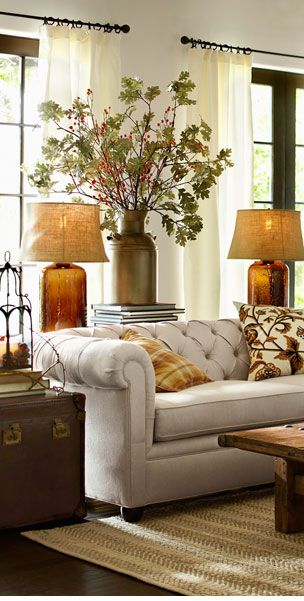 It is no wonder that you want to bring Autumn into your home. 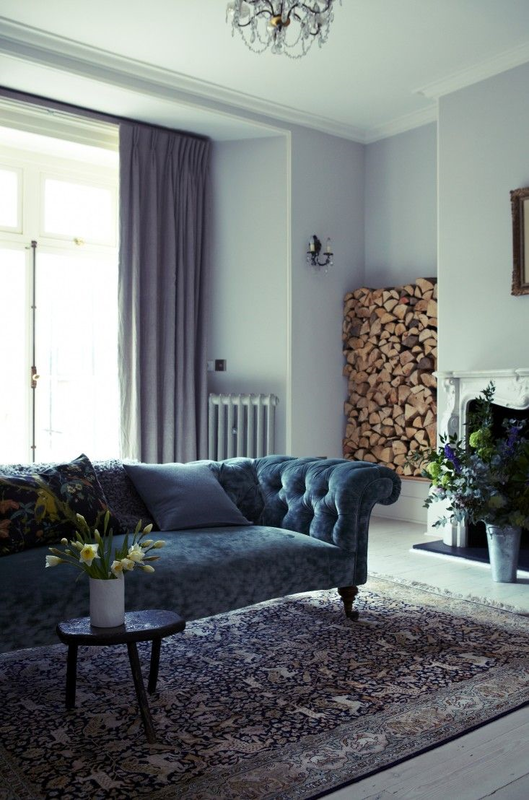 If you’re set on revamping a room in your home to accompany your iconic Chesterfield piece or collection, these three key Autumn/Winter trends might just be what you’re looking for. Nature will always be a winner when it comes to interior design, and this Autumn is no exception. This trend boasts versatility with its various motifs connected to the outdoors, such as leaves, trees and plants. Birds and berries also contribute, which leads us nicely into Christmas where holly wreaths and mistletoe are introduced with a hint of merry red. Keep the colour palette natural in creams, greens and browns so that textured materials in soft furnishings work extremely well in layers. From cosy chunky knits and ribbed wools to bringing rattan furniture indoors, you can create a neat contrast with any neutral Chesterfield leather or fabric suite. A weathered finish to any piece of wood furniture gives that authentic feel of being in the presence of a woodland environment. Metal is no longer just a simple silver. Since the breed of warm metals has been introduced, the idea of stainless steel, metal and concrete designs is becoming a dated interior obsession. The earthy hues of copper and off-gold in metallic home wares and mirrored surfaces are cosy and inviting, as well as bold and brave (for a budding decorator who wishes to clash all silvers and golds together). 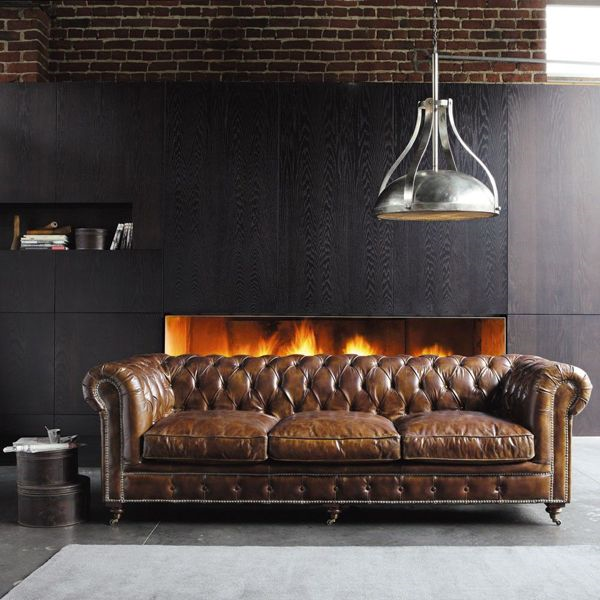 Any brown or black Chesterfield suite would play the part in a room ornamented in metal, for that striking edge. Cool colours won’t be making you feel blue this Autumn/­Winter. Typically, greys and blues are associated with negative emotions like feeling glum and miserable. However such colours are very tranquil and if utilized in an interior properly, a room can feel extremely welcoming and peaceful. Keep it calm with teal, sky blue and stone grey. If your room does have a chill, integrate a warm colour into the scheme such as green. You could even dare to introduce a hot orange or citrus lime, for ultimate vibrancy. If you want go deeper, aim for richer tones of blue such as indigo and violet. The perfect Autumn/ Winter palette for any home. If you would like any further advice, please call us on 01254 268590.